This item is discontinued. See the non-calibrated version. One plate of specified weight in kilograms. Select a size: 1.25, 2.5, 5, 10, 15, 20, 25 kg. These are the same design as our uncalibrated plates. The difference is these are calibrated to be accurate within 2% of the marked weight. The other difference is there are not any 1.0kg and 2.0kg versions of these. Cast iron plates with a black finish, and white raised lettering on the face of the 15, 20, and 25 kg. 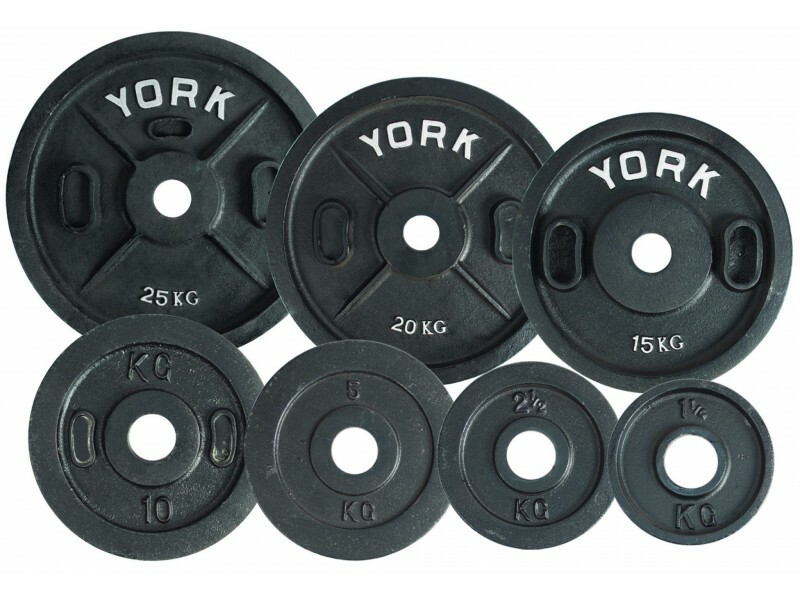 Like all of York's current models of plates, these have a relatively loose fit on bars made with strict 50mm (1.97") diameter sleeves.